First of all, I am so very sorry this post has been so delayed. August has really been wiping me out. My two-year-old with a congenital kidney disorder had to undergo some really stressful tests at the hospital. I had my own medical crap going on (a temporary spine stimulator inserted into my spinal column). Then we had the big kid’s birthday on the 15th and the little kid’s birthday on the 17th, and my parents in town visiting. Tomorrow the big kid starts first grade. She will be happy to be back at school, and I’ll get to adjust to having one kid at home all day instead of two. I hope against hope that my productivity increases. I have an appointment with a neurosurgeon on the 30th to discuss permanent placement of my spine stimulator. This is a surgery, and it should happen sometime in September, so as far as I know, that will probably be the next chunk of upset that will probably delay some postings on this website. I’ll keep people apprised when I know more. 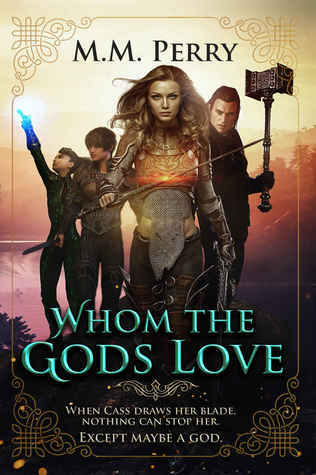 If you’re in the mood for an adventure fantasy with a strong female lead, this might be your jam. This story has a mythological feel to it, but Perry took time to develop some real believable characters. In fact, I was really surprised by how three-dimensional her characters felt. The world was just as interesting, and the adventure/goal complimented it all quite well. The writing was superb, but it could have used a bit more editing. There were some choppy sentences that set off my editing brain something fierce, but they were few and far between. My main issue would have to be the pacing. I just felt like things took a little too long to get going. There was a lot of development, and the action was too far behind the development for the one to punch into the other – if that makes sense. I think some of the emotional umph I like in the books I read was probably lost due to that. Furthermore, there were a lot of secondary characters and names introduced that seemed to get lost in the mix. Aside from that, however, this is one of those books that I found to be rather enchanting, and a nice diversion from the things I typically read. I enjoy science fiction, but I’m a really picky science fiction reader. 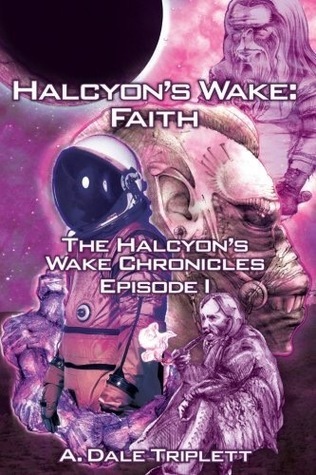 Halcyon’s Wake is a short, sweet book with an almost aggressive writing style that sort of punched me back in my chair and forced me to pay attention. This book is…. weird. I mean that in the best possible way. It’s kind of like Triplett let himself imagine just about anything, and took his most wild imaginings and put them in this book, like a space Sasquatch. There are some juvenile jokes thrown around as well, but under all this fluff is an interesting book that plays with some deeper themes that were really thoughtfully done. It’s one of those books you can enjoy for the banter, or you can enjoy for the deeper themes. Triplett has an obvious passion for space, UFOs, aliens, military stuff and whatever else. He talks about most of this stuff in easily digestible ways, which is good. The book itself was over almost as fast as it started, and while I wasn’t sure what to expect going into it, I ended up really enjoying myself by the end of it. It’s different. It’s not really like anything else I’ve read, but that’s not a bad thing. It’s a book full of passion and vision, and I felt that in each page. My kid just turned six, and she’s obviously my kid and I read too much, which means that most of the young adult stuff I come across gets read to her. So, my six-year-old read this book along with me. Now, she’s not the person who judges what every kid her age enjoys, but I think she’s a pretty good barometer for what some young adults probably look for in books (or not, what the hell do I know?). Anyway, this is all to say that while I might be tired of elves and castles and witches and all that, it seems to me like a lot of kids really enjoy that stuff. I mean, look at Harry Potter, for example. Anyway, all of this aside, basically I’m saying that this book seems to have most elements that kids/young adults/people of various ages enjoy. Elves. Castles. Witches. Warlocks. Magic. Adventure. This book has it all, and it’s a whole lot of fun. It moves fast, and my kid was rather enthralled by it all and ended up really enjoying the book as a whole. Now, I did find some clunky sentences. The plot was a bit predictable, and the ending left something to be desired. As a whole, however, this book seemed to appeal to the audience for which it was written, and it was one of those books that I read with my kid, and we both enjoyed the experience. One thing I can say about this book is that the world building was fascinating. 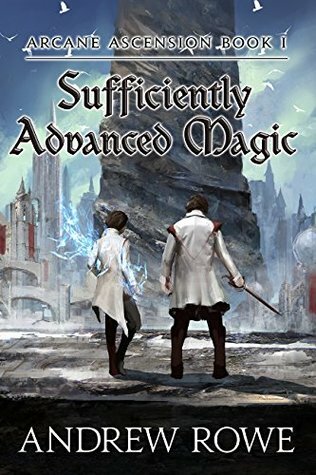 I really enjoyed the scope and depth of the world, and the magic system as a whole. This is obviously the first book in a series, and I felt like a lot of it was spent setting things up for what is going to happen next, if that makes sense. Now, that’s kind of what I expect when I read the first book of an epic fantasy series. The characters are interesting for their own reasons, though one character got on my nerves a bit. This book had some pacing hiccups, and some people make some dumb decisions that I think were pretty obviously dumb. This is, in a large sense, an adventure fantasy. Our protagonist, Corin, is entering the Serpent Spire, and it’s full of trials and revelations as he goes. Is this a perfect book? No. But I don’t really think it needs to be. Rowe is building a world and establishing his characters. There’s an interesting magic system, and many shenanigans along the way. Corin got on my nerves at points. The plot does lag in certain places. But the world building was fantastic, and the magic system enthralled me (despite the fact that I felt like it was overanalyzed to death at certain points). For the first book in an epic fantasy series, you can’t really ask for more than what this one gives you. I’m not really sure where to start with this one, and I’m afraid that’s something that the author probably gets a lot when reviewers read this book. That’s not a bad thing, mind you. Sometimes a book is just so…. much… that it kind of boggles my mind. That’s this one. First of all, I can’t fathom how Brindle put all this together. I mean, the author must have had charts stretching all over the place regarding how one story fit into another story which fits into another story…. Okay, let me slow down a bit. 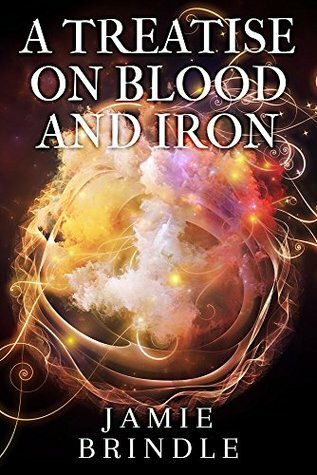 A Treatise on Blood and Iron is a fairytale type book. It starts out with an old woman telling a story to a bunch of kids in a cottage. From this story, starts another story, which starts another, until you’re reading a story within a story within a story. I will admit the start of the book was less impressive than the rest of it for a few reasons, and some of the stories later on got a little confusing, but all in all, considering how complex this book is, and how many moving parts there are, I was incredibly impressed. It’s a book that requires a lot of mental exercise, but in the end, the core focus of the book is clear, and the way the author danced around it was impressive. Will this book be for everyone? No, but again, that’s not a bad thing. It’s a book you sort of need to be in the mood for, but it’s quite impressive and really well written, so if you’re in the mood for a story within a story within a story within a… with a few laughs thrown in for good measure, then this one is for you. 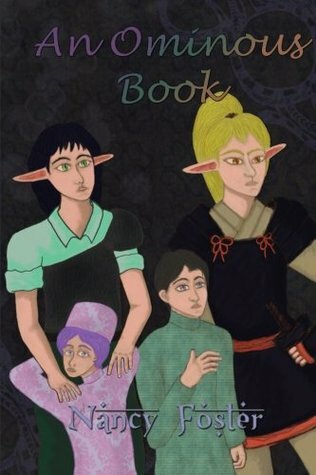 This book is an alternative version of WWII, full of magic and interesting creatures. While the lines that are drawn between the sides of the war remain roughly the same, each side has its interesting magic and use of said magic. I have to say, I’m kind of tired of books reinventing WWII, but Escobar did a really good job here. 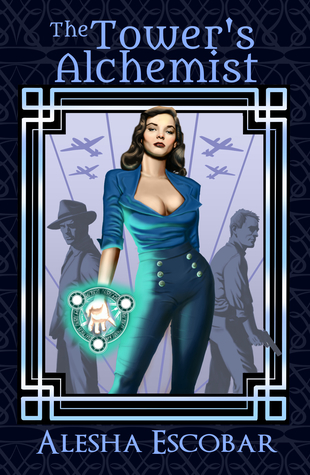 She took a war that is done and done and done in SpecFic, and she made it interesting. She drops readers right into the middle of the action, and from the first page things are going hard and fast. It’s a gripping story full of really wonderful historic detail, and the pacing is out of this world. Escobar has a way with making her words count. Her secondary characters didn’t get much stage time, but they were incredibly well drawn (for example). However, there were some odd sentences here and there that stuck out to me. The pacing can get a bit wonky in places, making me question the timeline. There was an overabundance of character names and code names, and I can see how they can get a bit confusing here and there. But all in all, this was a book that I really enjoyed. It had a unique flavor, and I really ended up devouring this one. Wow, it seems it was a tough call with three books rated 4/5. As a reader I appreciate all the effort you put in these reviews. Thankjs for doing this and all the best, especially with your health. Thank you for the review of my book! Really surprised a reader so young would be interested in reading it! I was mainly aiming for an older audience. ^_^’ Congrats to the batch winner and good luck! Thank you for the awesome review, and congrats to Andrew!